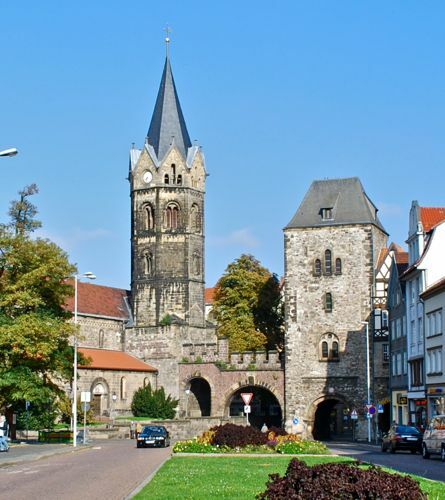 Eisenach is a small town in the state of Thuringia set in the lush, forested hills and farms of central Germany. It doesn't have the medieval charm of some German towns, but it has a pleasant collection of squares and narrow streets to explore. The main reason to visit is its historical sights. And it's the most convenient place to overnight while seeing the Wartburg. 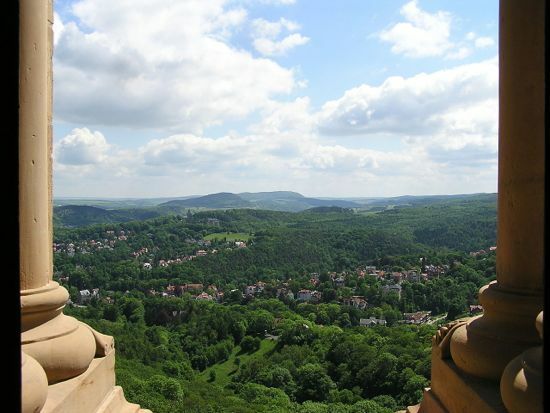 The town sits at the foot of Wartburg Castle, famous for its association with Martin Luther, the Meistersinger contest from Tannhäuser, and Saint Elizabeth. 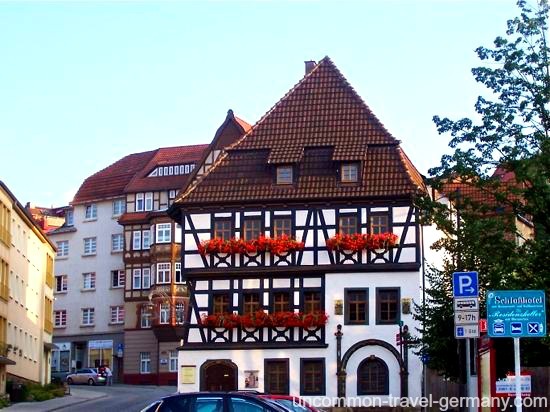 Eisenach is also the birthplace of Johann Sebastian Bach. 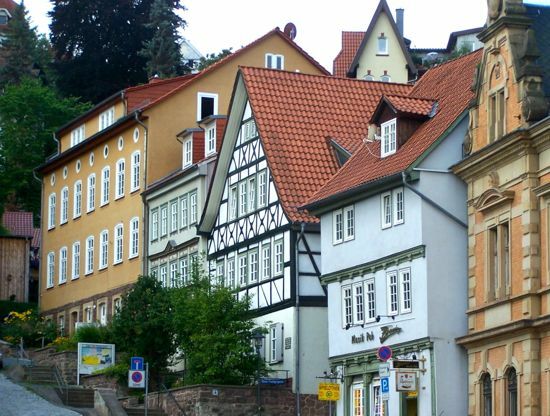 Goethe was very impressed with Eisenach, calling it a marvelous place. I wouldn't go that far, but it makes for a pleasant and interesting stopover, and the Wartburg is a must see. 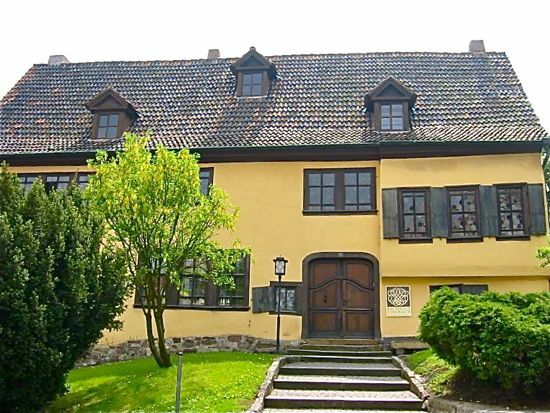 A 15th century building near the spot where Johann Sebastian Bach was born is now a museum with a collection of antique musical instruments and an exhibit on the Bach family. They have recreated the furnishings of a bourgeois household from around 1700 and the staff give short performances of several Bach pieces on the original instruments. Frauenplan 21. 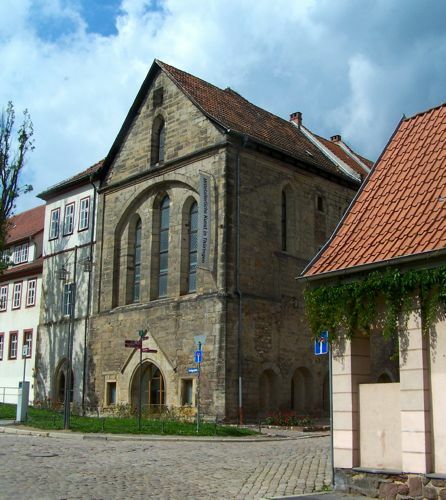 When Martin Luther was a teenager, he was sent to school in Eisenach (1498-1501) and boarded with the Cotta family. Their beautifully preserved half-timbered house is now a Luther museum. The two rooms he lived in are restored to their original condition. Martinlutherplatz 8. This medieval church witnessed the baptism of J. S. Bach in 1685 and the marriage of 14 year old Saint Elizabeth in 1221. 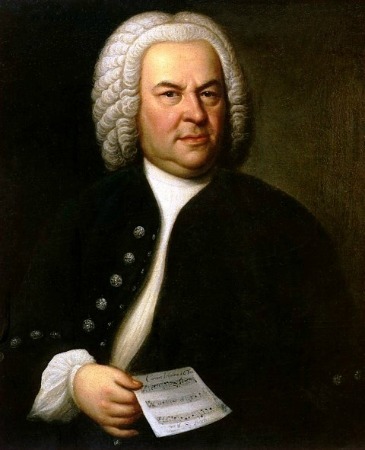 Members of the Bach family were the church organists for 132 years. Martin Luther was a choirboy here; he also preached in the church on his way to and from the Diet of Worms in 1521. On the Markt. The former 13th century cloister where J. S. Bach went to school. Just off the Markt. The main town square with a pinky-salmon Rathaus, also a fountain with a golden Saint George killing the dragon and an 18th century palace. After Bayreuth, this is the biggest exhibit of Wagner memorabilia, including his death mask. Concerts given in the period tearoom. At Reuterweg 2, just off the road to the Wartburg. Closed Mondays. Collection of antique cars, Wartburgs and BMWs. Eisenach's factory produced cars for 100 years. Friedrich-Naumann-Strasse 10, just west of the Bahnhof. 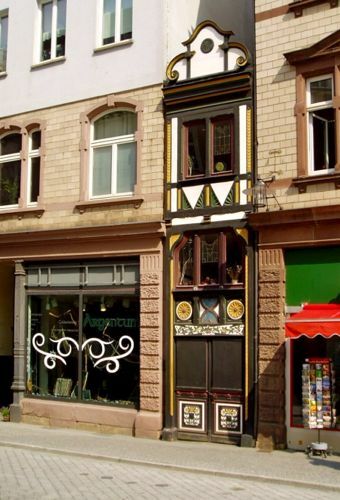 The narrowest, inhabited, half-timbered house in Germany, only 6 feet, 8 inches wide (2 meters). Johannisplatz 9. Practical Information: From the train station it's a short walk down Bahnhofstrasse to beginning of the Altstadt, which you enter through the only remaining gate (Nikolaitor) of the old town wall. The town itself is compact and the sights are easy to walk to. Wartburg Castle can be reached by a long walk on foot or by bus or car (see Wartburg). The Tourist Information Center is at Markt 2, on the main square of the Altstadt. I stayed at a hotel on the Frauenplan, a pretty little square where the Bachhaus is found. It seemed so peaceful, until I went to bed. Then the action started: clusters of people hanging out in the square, coming and going, much loud merriment. Cars zooming around and revving their engines. The best part was the jammed cigarette machine under my window which got a good pounding every time it ate some Euros. Was it like this every night? I didn't stick around to find out. Maybe I just picked the wrong night, but this square seemed to be the local hangout for the young and lively. However, this was the exception traveling in Germany; generally a German town is one of the quietest places on the planet after 10 p.m., both by custom and law. Villa Kesselring. Charming Jugendstil villa, very quiet, at the end of town near the path to the Wartburg. Long walk, take a taxi from the Bahnhof. Very reasonable. Hainweg 32. (www.villa-kesselring.de). Click on the individual pins, or click the rectangle to the left of the map title to see whole list.